FirstCare Nursing Home Group - Jobs Expo Dublin. We are excited to have FirstCare come and exhibit at our Jobs Expo Dublin event. Their recruitment team will be talking to interested candidates throughout Saturday 13th October at Croke Park. “What the caterpillar calls the end, the rest of the world call the butterfly”. The FirstCare Nursing Home Group have been providing Nursing Home care to their residents for over 24 years within six nursing homes in the Dublin and the Greater Dublin Area. They have ambitious plans to grow the group over the next five years. They are dedicated to providing quality care, for the frail elderly residents and residents living with a dementia. Their motto is ‘Love Later Life’. 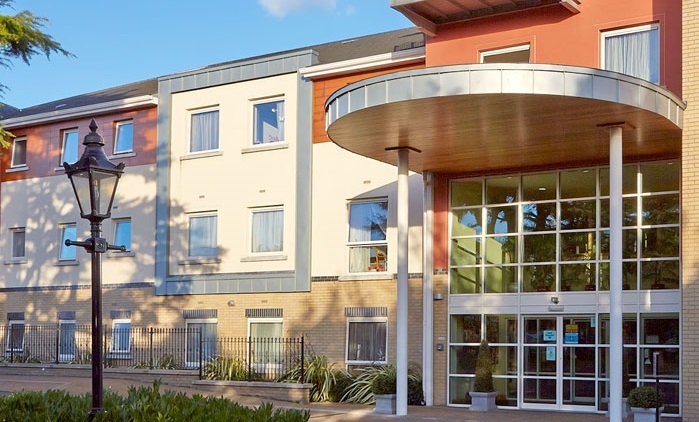 Personal resident choice lies at the heart of their ethos, and everything they do is determined by the “Person Centred” approach to resident care. Furthermore, the Group invests heavily in training. They work hard to have a warm and friendly working environment for staff in all Nursing Homes and in the Support Office. Happy employees create a happy working environment. This is reflected in the standard of care provided to residents. FirstCare encourage staff development and have of policy of promoting from within. There’s huge opportunity to grow within the Nursing Homes. In addition, the Management Team will always support those who are eager to advance their careers. The organisation are eager to make the transition for their employees from their homes in Europe and beyond as seamless as possible. With their committed Human Resources Team, FirsCare go above and beyond in an effort to reduce the stress associated with moving to a new country. Also, they understand the challenges of finding accommodation. As a result they help new staff to source their new ‘home away from home’, both temporary and permanent. Currently they have 41 nationalities working for FirstCare. The company is truly a multi-cultural and diverse group. They provide regular English classes, including medical English, and support with higher education to those who express an interest. They push make each and every member of staff feel welcome and part of the team.